Europeans have long known it. Athletes are amazed by it. Athletic trainers, physical therapists, chiropractors and medical doctors are quickly accepting it. Laser therapy, which has been around since the 1960s, is used for all aspects of physical medicine, wound healing and rehabilitation. It has become a locker room staple for European sports teams and over the last 20 years has been working its way into medical and chiropractic offices throughout the United States. 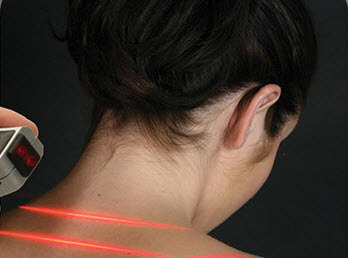 In addition to musculoskeletal conditions, lasers are also being researched and used for faster healing for burn victims, plastic surgery, dermatological conditions, brain trauma, dementia and would care among other things. Research is confirming that it can speed healing and recovery times from 20-50%. Recently, even peer-reviewed mainstream medical journals are publishing incredible articles showing the power and effectiveness of laser therapy on a wide variety of health conditions. The laser I have used is called a “cold laser”, it’s use is also known as low-level laser therapy (LLLT) because it does not increase the temperature of the tissues that the beam contacts. Laser therapy directs a beam of energy to the injury site. Lasers that work in the visible spectrum are seen by the human eye as a particular color. The specific wavelength of light in the low to mid 600 range nanometers (nm), also called a ruby red laser because the wavelength is that color to the human eye. 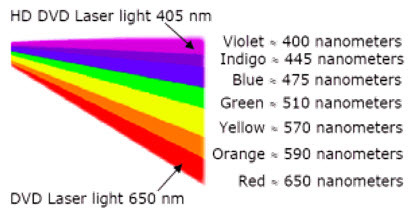 Lasers lower on the spectrum in the 400-500nm range are called violet or blue or lasers. Blue lasers are great as an anti-microbial therapy for skin infections. See the different spectrums in figure 1. Higher wavelengths bordering the high end of the red range (at around 700 nm) to far infra-red spectrum (at around 1,000 nm). Lasers are used for numerous disorders and upregulate cellular function. On a cellular level, lasers increase local circulation, inhibit inflammation, increase the body’s production of antioxidants, improve tissue oxygenation and stimulate the production of ATP which is the energy that the cells of our body produce, improve nerve function and even break down cellulite, making “body contouring” a popular use. They can even reduce scar tissue. The end result of all of those benefits is better cellular and thus tissue function and faster healing. To a patient’s delight, laser therapy decreases pain, reduces muscle spasm, calms inflammation and increases range of motion.